Colon cancer is the second leading cause of cancer death in this country. The incidence of colon cancer can be dramatically reduced with appropriate screening. 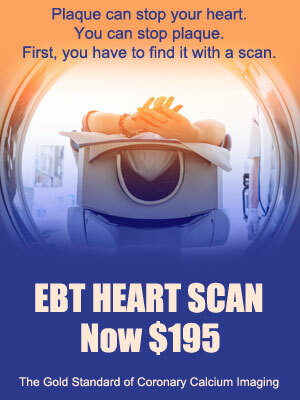 Unfortunately, only about 40% of people who should be screened ever get any screening at all. What Does a Colonoscopy Report Look Like? 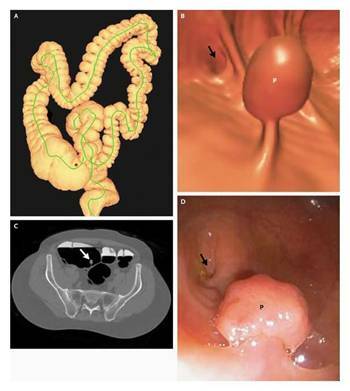 The Virtual Colonoscopy Report imagery shows 2D and 3D images. A represents the entire colon. B indicates a colon polyp. C is the cross sectio and location of the polyp. D indicates the actual visualized polyp in contrast to the virtual colon. What if they find polyps? If polyps are found on a virtual colonoscopy, then a conventional colonoscopy must be done to remove them. Two important things to realize: one is that the surgeon will have the results of the VC to accurately guide hem to the polyp, and secondly, only 8% of people getting a VC need to have any polyps removed. What is the cost and does insurance pay for a Virtual Colonoscopy? The discounted cash price for a VC is $775 which is considerably less than the cost of a conventional colonoscopy. Many insurance companies are now beginning to cover the cost of a VC. Front Range Preventive Imaging or your physician can submit a prior authorization for you to see if you are covered. A referral from a physician is not necessary for this screening procedure, but may be needed for insurance payment or coverage. What is the radiation exposure with a Virtual Colonoscopy? The radiation exposure is small, about 5mSv. This is equivalent to the radiation one gets from living at altitude for 12 months. It is considered a small amount.